A different special seafood menu every week! 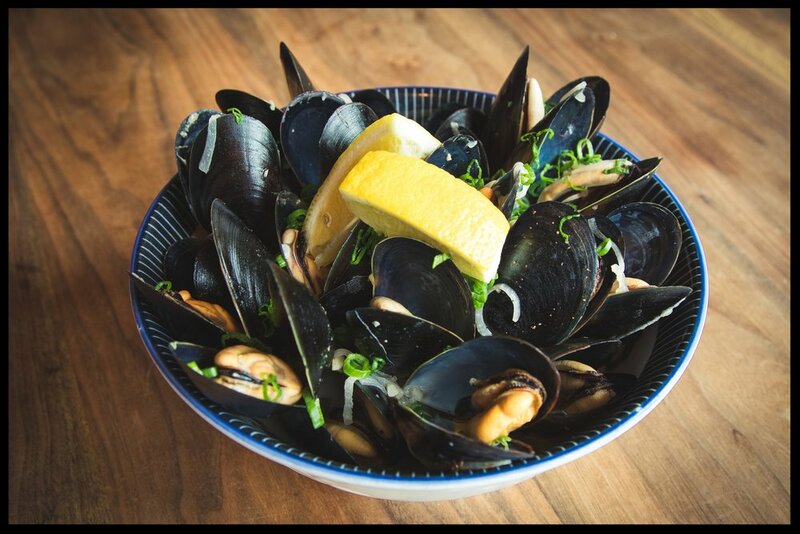 Our take on the Belgian classic - Fresh mussels steamed in white wine and shallots, served with our house-cut french fries! 1st & 3rd Tuesday of every month: COWBOY KARAOKE! Izakaya Meiji is essentially a Japanese tavern - a neighborhood drinking house offering a seasonal menu of Japanese comfort food and small plates for snacking while drinking. Our bar features a dynamic cocktail list, rotating beer selection, over 100 whiskeys, sake, wine, shochu, and more. Our dishes are intended to be shared among friends. We opened our doors on August 7th 2010, during the 4th annual Whiteaker Block Party.